Nothing catches the eye like a grouping of well-chosen annuals that flank a building entrance or make a planting bed “pop.” Annuals add sparkle and class to any landscape and we are fortunate to have varieties that can provide three seasons of pleasing visual interest here in Michigan. The cheerful pansies lead the way in the spring, followed by a full pallet of color and texture provided by the summer annuals. Stately salvia, prolific impatiens, and mounding petunias, properly planted by our crews, can provide months of added enjoyment of your landscape. 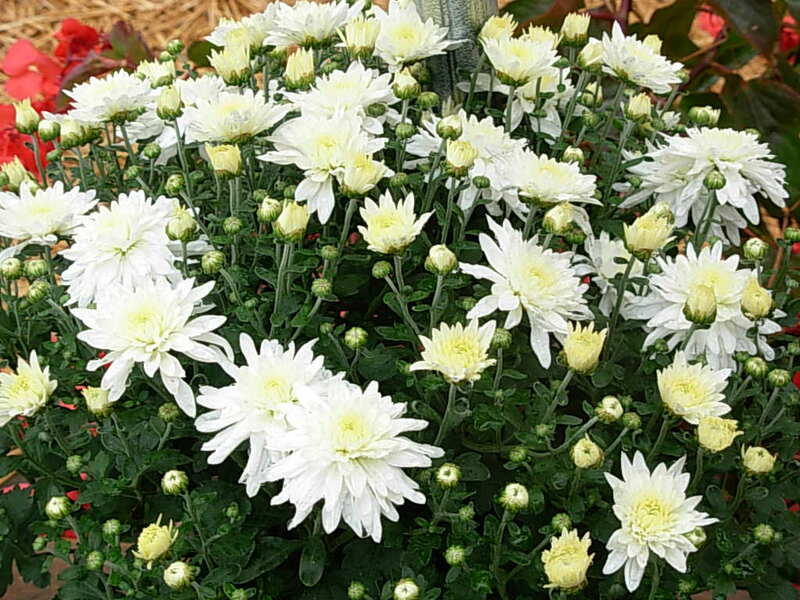 You can even have us come back in the fall with hardy mums to add clusters of color long after the more tender varieties have ceased blooming. In addition, if you have chosen to have us provide your fall clean-up, we will remove all dead annuals and leave the beds properly prepped for the winter.